PEMF stands for Pulsed Electro-Magnetic Field Therapy. Magnetic field therapy has been used for over 500 years. Paraclesus used lodestones which are naturally magnetised bits of the mineral magnetite, to treat conditions such as epilepsy, diarrhoea and haemorrhaging, in the 15th century. 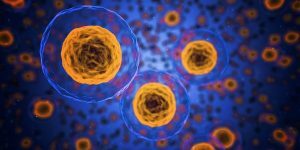 Many studies have demonstrated the effectiveness of PEMF in healing soft-tissue wounds; suppressing inflammatory responses in the cell membrane to alleviate pain, and increase range of motion. The value of pulsed electromagnetic field therapy has been shown to cover a wide range of conditions, with well documented trials carried out by hospitals, rheumatologists, physiotherapists and neurologists. 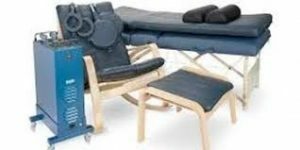 The beneficial effect of induction through the cells lasts for up to 72 hours after the treatment session has ended to help stimulate and promote healing. It works by directing low-level, pulsed, energy waves towards damaged or injured muscle, tissue, tendons, bone and organs. The waves move rapidly but painlessly through the cells to cause the electrons contained within them to spin. This process of increasing the spinning action of the electron’s, restores the energy potential and volume of the cells. Your cells contain mitochondria which are the power factories of the cells. They are like tiny batteries which can absorb, store and lose as well as produce power. Any battery, including our own tiny ones, can become depleted. For our batteries it is age, stress, overuse, injury, exposure to toxins, dehydration and damage that can make them tired and worn out. This means we have a harder time fighting damaging forces or illness. The PEMF can recharge those tiny batteries! This means our cells have a better ability to fight off illness, injury or disease threats and allows your body to heal naturally. PEMF is a safe, drug-free treatment with proven effectiveness. What may the benefits of PEMF be? What conditions might PEMF be used for? You’ve probably heard that EMF’s (electro-magnetic fields) from things such as power-lines, high voltage transformers, microwaves, wireless routers, x-rays, mobile phones and aeroplanes can disrupt your biology by altering your DNA and reconfigure your genes. This can cause a depletion in the cells with symptoms from constant fatigue to DNA damage and possibly cancer. PEMF therapy is NOT the same thing. The difference is in the frequency and duration. Quality PEMF devices only generate pulsing frequencies under 100 Hz which is classified as Extremly Low Frequencies (ELF). 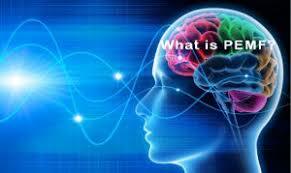 PEMF is extremely low frequency pulsing energy ranging from 1 Hz to 50 Hz. 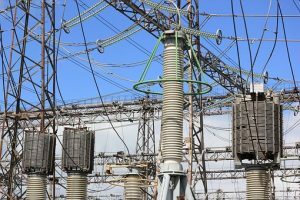 Electro-Magnetic Fields (EMF) are not to be confused with 50/60 Hz electromagnetic radiation around high voltage power lines and transformers, which induce a continuous electromagnetic field. EMFs fall on a wide spectrum — everything from x-rays and satellites to your wireless headphones emit EMFs at different frequencies. High-frequency EMFs, like X-rays that register frequencies in the hundred quintillion Hz range (yes, that’s a number and it’s big) are the most disruptive to your body. That’s because they are ionizing — which means they have enough energy to break electrons off of atoms, which charges them. This changes the way your cells work. 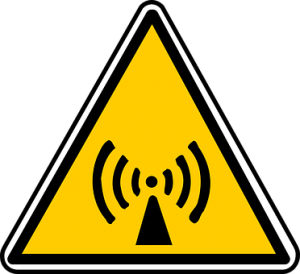 High frequencies like mobile phones work with frequencies higher than 800 MHz (800.000.000 Hz) and it is an open question if they might cause cancer. Microwave ovens use 2.45 GHz (2.450.000.000 Hz) and are dangerous when applied directly to the eyes and testis as blood flow in these organs is limited and thus cannot “cool off” the heating effect. This is the reason why the microwave stops working when the door is opened in the middle to avoid danger. The heating of the food occurs due to friction of the agitated molecules. They can also make changes in your DNA and disrupt your circadian rhythm. The therapeutic frequency of PEMFs look a lot like the frequencies you encounter in nature, so your body knows how to deal with it. Most PEMF treatments and maintenance will fall in the 5-30 Hz range, which is less than you get from a thunderstorm. Millions of people have used PEMF treatments over the past 70 -plus years. Even very high intensity PEMFs, such as MRIs and more recently FDA (the U.S. Food and Drug Administration) approved high intensity PEMFs applied across the brain, have been shown to be extraordinarily safe. Some people have expressed concerns about PEMFs and the risk that they may cause cancer. However, PEMFs have even been found to be valuable as part of cancer treatment programs. The most common contraindication for using PEMFs is in pregnancy. This is not to say that PEMFs are harmful in pregnancy, it’s just that they have not been formally studied. Many women have used PEMFs throughout their pregnancies without problems, in fact, experiencing a smoother pregnancy process. Women working in MRI environments throughout their pregnancies have not been found to have significant health risks. Chronic Neck Pain . (2016). Osteopathic.org. Retrieved October 2016, osteopathic.org/osteopathic-health/about-your-health/healthconditions-library/pain/Pages/chronic-neck-pain.aspx. Markov MS. Expanding use of pulsed electromagnetic field therapies. Electromagn Biol Med. 2007;26(3):257-74. Nelson F, et al., The use of a specific pulsed electromagnetic field (PEMF) in treating early knee osteoarthritis. Trans 56th Annual Orthopaedic Research Society Meeting, New Orleans, LA (2010), p. 1034. Pilla, et al., Electromagnetic fields as first messenger in biological signaling: Application to calmodulin-dependent signaling in tissue repair, Biochim. Biophys. Acta (2011), 2011 Oct 8;1810(12):1236-1245. Rosch P, et al., Bioelectromagnetic medicine. New York: Marcel Dekker, 2004.